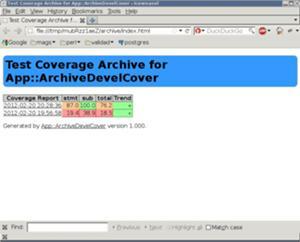 We all love Devel::Cover, the wonderful code coverage tool by Paul Johnson. But as you might have experienced, generating coverage reports for a big test suite can take quite a time (about an hour in the case of our current project). And each new run overwrites the previous one, which (besides being a big waste of used CPU cycles) makes it hard to see any progress, lack thereof, or, even worse, regress. 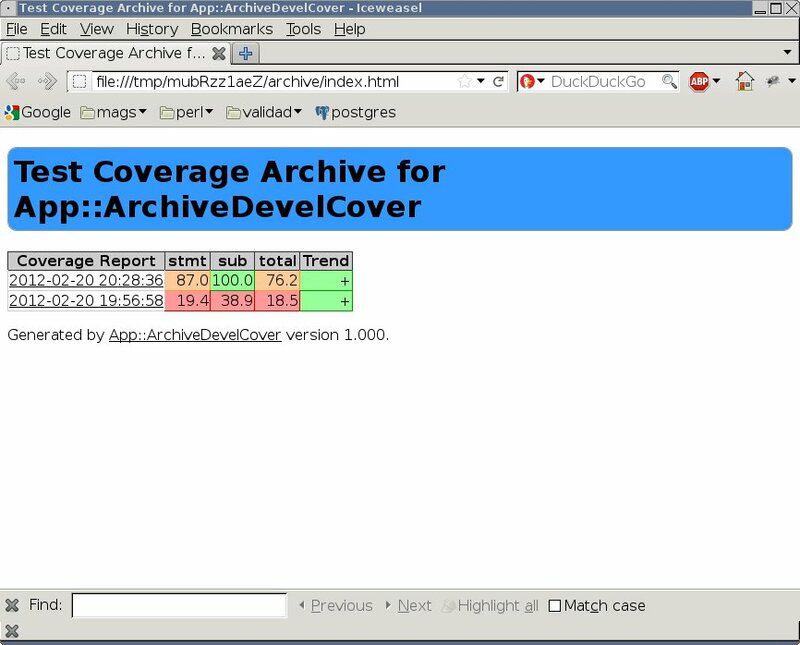 And App::ArchiveDevelCover will not only save your most recent report to the specified location, but will also generate a nice-looking overview page reporting the status of each report, and informing you of the coverage trend (see the screenshot to your right...).